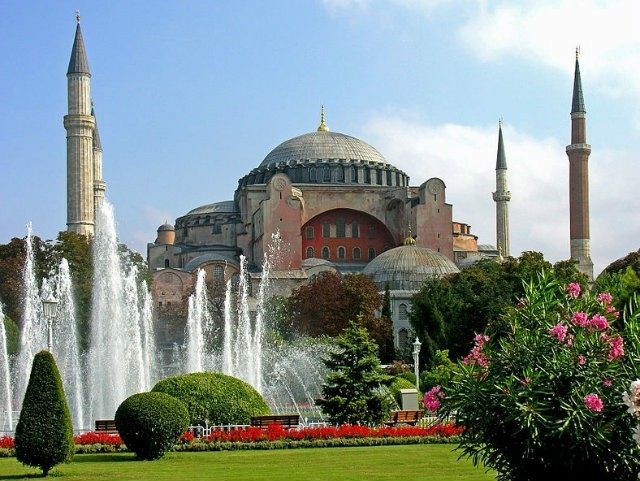 From the date of its construction in 537 AD, and until 1453, Hagia Sophia [Holy Wisdom] served as an Eastern Orthodox cathedral and seat of the Patriarch of Constantinople. The building was later converted into an Ottoman mosque from 29 May 1453 until 1931. It was then secularized and opened as a museum on 1 February 1935. 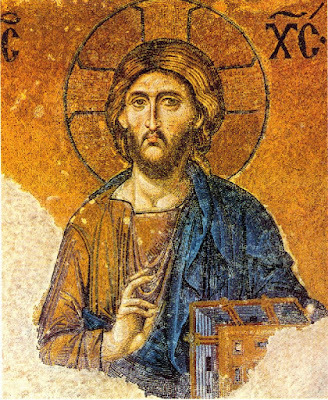 The church was dedicated to the Wisdom of God, the Logos, the second person of the Trinity, its patronal feast taking place on 25 December, the commemoration of the birth of the incarnation of the Logos in Christ. The Hagia Sophia is one of the most beautiful and well-known buildings in the world -- and Islamists have detested that fact for years. After all, it is a Christian church, and therefore a Christian symbol. That's why the Ottoman Turks wasted little time transforming the church into a mosque when they invaded and conquered Constantinople (Istanbul) centuries ago. Christian symbols and works of art were destroyed or covered, and a dominating tower was built from which the Islamic call to prayer could be sung. The Ottomans did that because they wanted to show Christians that, from then onwards, Islam was in power. Christianity would be subjugated. That changed in the 20th century, when the Ottoman Empire fell and was succeeded by the secular Turkish Republic. 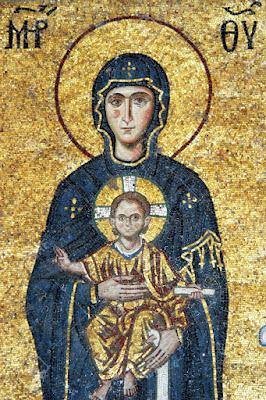 The Hagia Sophia was declared a neutral place for Christians and Muslims (and for people of all other religions). The church/mosque was made into a museum where everybody was welcome. Just about everybody was happy with that situation -- except for the remaining Islamists. Thankfully, fundamentalist Muslims were marginalized in the Turkish Republic. Sadly, that has all changed under the rule of Recep Tayyip Erdogan, Turkey's current president. Erdogan is an Islamist who believes that Turkey can only restore its old glory (note: the glory days of the Ottomans) by becoming a truly Islamist nation. That's why nobody was surprised -- shocked, yes, but not surprised -- when the government announced earlier this year that the Muslim call to prayer would be sung twice a day in the Hagia Sophia from then on. Christians and others criticized the decision, but Erdogan ignored them. At best, he and the other members of the government said Christians had nothing to fear. It was just a call to prayer, twice a day. What's the problem? Logically, Christians and other critics of the government had a hard time believing the president. They feared that this was just the first step in a project to once again Islamize the Hagia Sophia. This fear has now been validated: last Friday, the Turkish government announced that it had appointed a permanent imam to the Hagia Sophia. This means that the Islamic call to prayer will now be heard five times a day, instead of two times -- and that it will basically function as any other mosque. It's a tremendous slap in the face of Turkish Christians, who already are an increasingly beleaguered minority. Earlier this month, Rev. Andrew Brunson and his wife Norine were arrested for supposedly being "national security threats." That's an excuse this government always uses to take out those who don't support the president. Brunson has been arrested because of his work for Christ. Turkey's Islamist president is on a war path with Christians in Turkey. Their churches are turned into mosques, their pastors are arrested and deported, and those Christians who remain are constantly forced to look over their shoulder. Welcome to the New Turkey of Recep Tayyip Erdogan, where non-Muslims are soon to face the traditional Koranic choice of "convert, submit, or die." The Christian population of Turkey is evaporating rapidly. The nation, a NATO member since 1952, experienced a reduction in its Christian population from 20 percent 100 years ago to only 0.2 percent today. 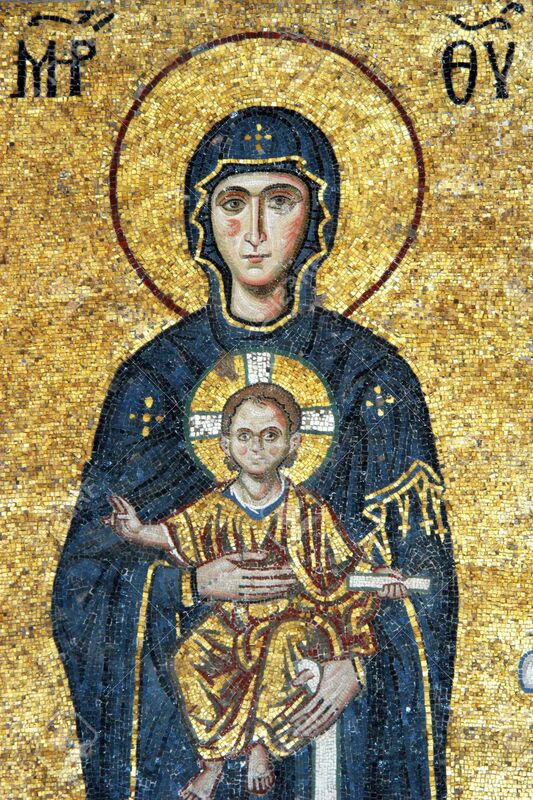 Presumably, the reconversion of Hagia Sophia into a mosque means that these precious mosaic icons from the Byzantine Era will once again be plastered over. In 1453, Constantinople was conquered by the Ottoman Empire under Mehmed the Conqueror, who ordered this main church of Orthodox Christianity converted into a mosque. The bells, altar, iconostasis, and sacrificial vessels and other relics were removed and the mosaics depicting Jesus, his Mother Mary, Christian saints and angels were also removed or plastered over. We need to pray that this marvelous edifice once again becomes a place where Christ is worshipped.